Although he is often identified as Puerto Rican, Miranda was born in New York City. Like Hamilton, who was born on a Caribbean. Miranda was of mixed descent with African, Mexican, and European family in his pedigree. During childhood and his teens, the future playwright and singer spent at least one month each year with his grandparents in Vega Alta, Puerto Rico. While our dysfunctional society quarrels over whether the current, liberal governor of Virginia may have once worn black face, Broadway celebrates a fairy tale musical, HAMILTON. 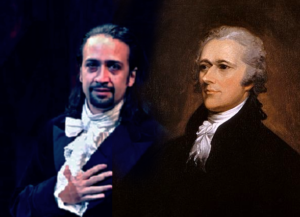 Fact is that Lin-Manuel Miranda got Alexander Hamilton all wrong. In the new era of a multiracial America, celebrating a Founding Father man because he was of mixed race may be worthwhile, but this Founding Father was a slave owner, an anti-immigration elitist, made war on Native Americans, and tried to create a domestic army that could have made him a dictator. 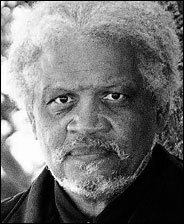 A new play by Ishmael Reed evokes Dickens with ghosts of Hamilton’s slaves coming to haunt Miranda’s dreams. Harriet Tubman teaches Miranda about “The Underground Railroad.” Ghosts of Indigenous Americans killed under General Hamilton’s orders do not help the sleep of the fictional author and star of HAMILTON. “The Haunting of Lin-Manuel Miranda” depicts the Puerto Rican playwright as a man of color misled by Ron Chernow. Professor Chernow was the historian who wrote the definitive biography of Hamilton used by Miranda to create the script for the Broadway musical. Of course, in this era of racism .. Chernow is seen as a white man. Chernow’s own book shows a different side of Hamilton but the brownish Founding Father comes across as even worse. Hamilton had gotten himself appointed as General of America’s army and was lobbying Adams to fund that INTERNAL army to a tune of 5000 men. In that day this would have been a big army and would have given Hamilton the authority to take over our nascent democracy. It was this issue that led Thomas Jefferson to leave the Federalist government and create the first political party … the ancestor of the modern Democratic Party.